With college students having over $35,000 worth of debt on average after graduating and the scores of underemployed college graduates, it becomes necessary to question the value of a college degree. Students may be put off by college because of the high tuition fees and the years of debt that follow but research by the Bureau of Labor Statistics shows that there is a correlation between those who have less than an associate’s degree and unemployment rates. According to the 2017 report of the Bureau of Labor Statistics, the employment rate for college graduates is only 2.5%, meaning that only 1 out of 40 college graduates are unemployed and even that minuscule number is due to those that are switching jobs. But is employment (regardless of the type of profession) enough of a reason to go to college and take up thousands of dollars’ worth of debt? The media is constantly reporting statistics on underemployed students. 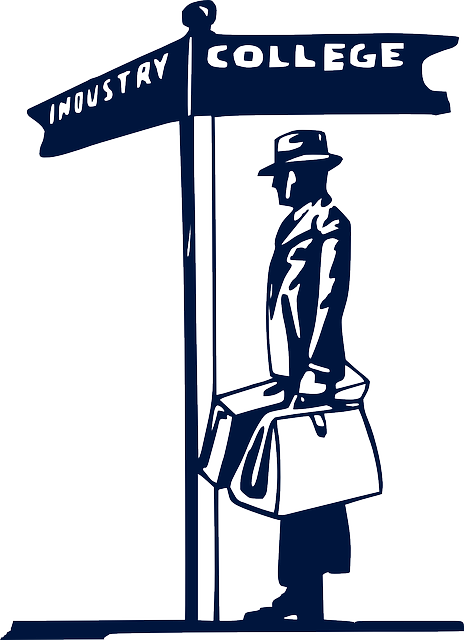 The New York Federal Bank reported that 30-40% of college graduates are underemployed. However, upon further examination, researchers found that the study consists of major flaws and that the statistics reported are exaggerated. Firstly, the definition of ‘underemployed’ needs more clarity. In the study, underemployment was defined as a college graduate working a job that does not require a college degree. Jobs that are very technical in nature will definitely need college degrees but those that are more skill-based may not. However, the criteria for each employer differs. Some restaurants may require restaurant managers with degrees while others don’t. In this specific study, if some restaurants claimed that restaurant managers did not require degrees, then all college students working as restaurant managers were classed as underemployed. Also, just because a degree was not a criteria for the job, it does not mean that the college graduate is not applying their acquired knowledge. Further proof that underemployment statistics are exaggerated and is exhibited in the salaries that college graduates receive. The average salaries shown on sites like PayScale.com do not consider the salaries post-graduates receive. Even then, the salaries given to those who are working in professions out of their fields, are earning a fairly good salary. According to Forbes, anthropology majors still make $39,000 on average; art history majors earn around $40,800 annually both of which are considered healthy amounts for early career salaries. Unless there are some employers who are exploiting college grads, not many should be considered unemployed if they earn an average of $40,000 annually. It’s not news that some professions pay more than others. Pursuing a degree that helps you secure a job that pays well and allows you to pay off your debt faster is much more worthwhile than getting a degree which doesn’t provide you with decent employment opportunities. Some degrees pay for themselves, others do not. Degrees where students learn a trade or specific skills tend to be more financially rewarding than those that pursue non-technical majors like theology, art history, and anthropology. Students pursuing tougher majors such as engineering are able to pay off their student loans at a faster pace than those that major in arts and humanities. Within a period of 20 years post-graduation, an engineer from the University of Berkeley can be around $1.1million wealthier than those who did not attend college. Even arts and humanities’ majors can earn handsomely provided that they major from renowned colleges and make significant contributions in their fields. College does not have to be expensive. Opting for a community college can significantly reduce your costs; in some states, it is completely free. Before applying for student loans, students should undergo intense research on scholarships and grants which they can avail. Students who wish to go to college should begin their research at the beginning of high-school to determine the general requirements of scholarships. Parents and students can coordinate with their school counselors to get an idea of what is required academically, in extracurricular activities and in community service to qualify for scholarships. Those who do not qualify for scholarships can take out federal loans which offer fixed rates and more flexible repayment plans. Because of the fixed rate, your student loans won’t increase with time. Additionally, you also have the option of reducing your loans through student loan forgiveness. Most colleges in North America will require students to take up some electives that may be unrelated to their majors. The purpose of these electives is to give students a chance to explore their interests and learn more about other fields in order to make them more well-rounded individuals. Electives seek to expand students’ global awareness, critical thinking and communication skills but they also open up more career options for students. For example, a marketing major who takes up visual design classes has the option of switching his career to something that incorporates both fields, like a graphics designer. Going to college may seem like a tall order for most students but it will pay off in the future. Pew Research Center reported that college graduates between the ages of 25-30yrs earn around $17,500 more annually than those with just a high-school diploma. Some college majors make repayment of loans much easier but generally, all graduates tend to be much better off than those who choose not to go. 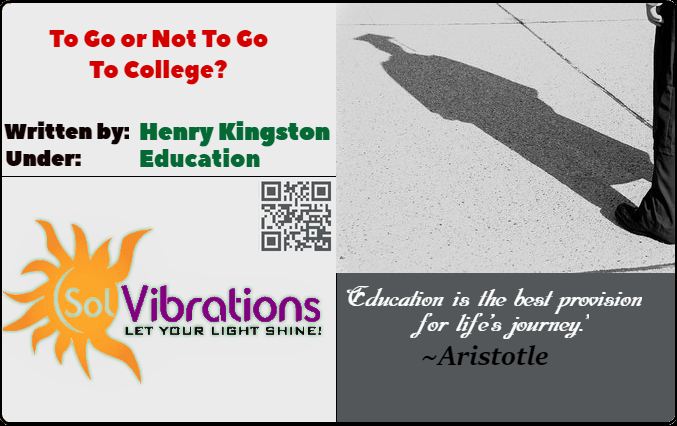 We hope you enjoyed this post: To Go or Not To Go To College?. Please use our star and reaction tools below to help us better understand what type of posts you do and do not like. For further engagements, please feel free to leave a comment.